Greetings from Woodward Financial Advisors! We hope this e-newsletter finds you well and enjoying summer. While the pace of life tends to slow during this season, things at WFA continue to move full speed ahead! Keep reading to learn more about a charity tool that may help you achieve your philanthropic goals, several awards the firm has recently received as well as exciting things that happened behind the scenes at WFA over the past several months. The 2018 Tax Cuts and Jobs Act provided us an opportunity to review and update our advice related to charitable gifting tools and strategies. As in previous years, taxpayers will be able to use the higher of their itemized deductions or the standard deduction. Unlike previous years, however, the new tax law eliminates many deductions while at the same time increases the standard deduction to $12,000 for individuals and $24,000 for married couples. At these levels, the standard deduction will exceed the itemized deductions for many filers, which has important tax implications for charitably-minded folks. But all is not lost. Folks who are unable to itemize should consider “bunching” multiple years’ worth of gifts into a single year, to maximize the tax efficiency of their gifts. Continuing with the example, rather than make gifts of $2,000 annually over the next three years (and receive no tax deductions), the couple could instead make a $6,000 gift in 2018, thereby pushing their deductions over the $24,000 threshold and making some of the charitable gifts tax-deductible. Then they would not make any gifts in 2019 and 2020 and claim the standard deduction, before starting the cycle over again in 2021. For people who know exactly which charities they wish to support, making a one-time “bunched” gift can be straightforward. For those who may not know which charities they wish to support over time – or who want flexibility in deciding what they support – a Donor Advised Fund (DAF) may be an elegant solution. Donor Advised Funds have been around for some time, but they have received increased interest recently due to the tax law changes. DAFs themselves are charitable organizations: donors make an irrevocable gift into the fund and receive a charitable deduction in the year of the gift, but then can distribute “grants” out of the DAF to individual or multiple charities over subsequent years. Contributions into the DAF stay within accounts administered by the donors. When donors wish to make grants out of their DAFs, the organization that operates the DAF reviews the request to ensure the receiving organization is an IRS-qualified charity and, upon approval, issues a check to the recipient charity. While charitable giving offers potential tax savings, those savings should not be the main reason to gift. The primary reason to give should be a belief that the work undertaken by the non-profit organization is important and resonates with donors. Even with these new changes, we’ll continue to work with clients to find the most tax-efficient ways to meet their philanthropic goals. The DAF is one tool that offers an efficient, convenient and tax-advantaged way to gift while providing flexibility if the organizations and causes that donors support change over time. Ŧ The 2018 Tax Cuts and Jobs Act included significant changes to itemized deductions for tax years 2018 through 2025. The $20,000 deductible amounts shown in the example are for illustration purposes only. 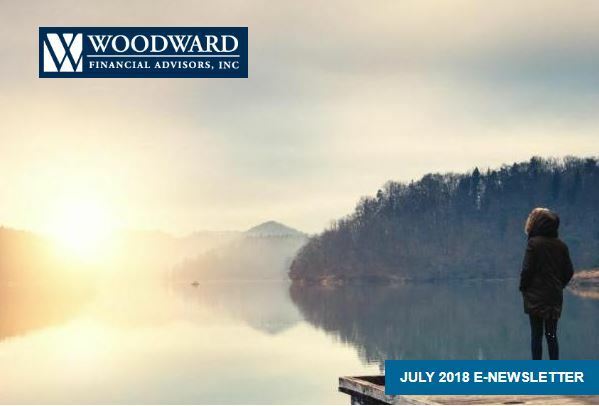 Woodward Financial Advisors has been named one of the 2018 Financial Times 300 Top Registered Investment Advisers in the United States! WFA is excited and honored to announce we have been named to the 2018 edition of the Financial Times 300 Top Registered Investment Advisers. 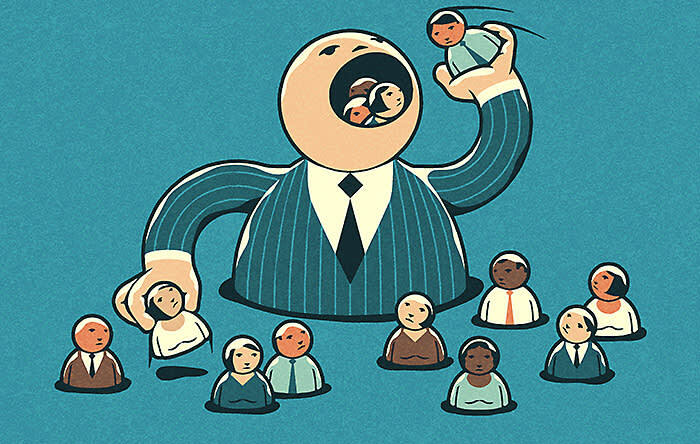 The list recognizes top independent RIA firms from across the country. ﻿This ranking is produced independently by the Financial Times in collaboration with Ignites Research, a subsidiary of the Financial Times that provides business intelligence on the asset management industry. 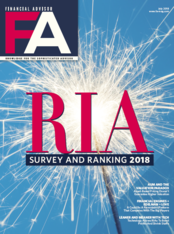 Woodward Financial Advisors is pleased to announce it has been named to Financial Advisor magazine’s 2018 RIA Ranking , which lists the top Registered Investment Advisor firms in the nation. 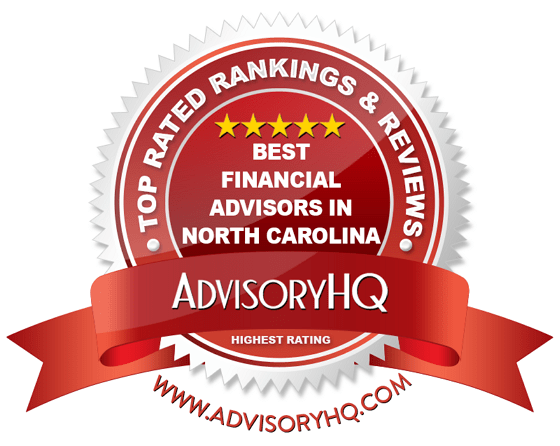 WFA was recognized by AdvisoryHQ as one of the 10 best wealth management firms in the Greensboro, Chapel Hill and Winston-Salem area. 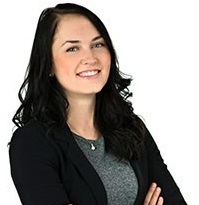 Veronica ("Roni") Pflueger officially became a CFP ® this April. Roni is the sixth CERTIFIED FINANCIAL PLANNER™ at Woodward Financial Advisors. 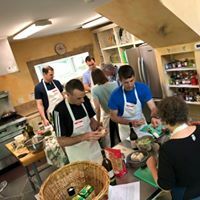 Working against the clock, Joe Marques (left) and Austin Brown (right) prepare two types of paella during WFA's team-building event at C'est si Bon, a local cooking school. Same url, new WFA website! If you haven't already, check out the new WFA website at www.woodwardadvisors.com. Please let us know what you think! Join us in congratulating our colleague, Veronica ("Roni") Pflueger, who officially became a CERTIFIED FINANCIAL PLANNER™ in April! In order to obtain her CFP® credentials, Roni completed extensive coursework, passed a rigorous examination, logged 6,000 hours of qualified financial planning experience, and agreed to adhere to the CFP Board’s high standards of ethics and practice. In celebration of Roni's achievement, the WFA Team enjoyed an "espresso toast" in honor of the newest CFP® and coffee lover. In April, Ben Birken was invited to speak to undergraduates in the Winthrop University financial planning program, where he discussed Woodward Financial Advisors’ investment philosophy and working as a fee-only advisor. In May, Ben gave a presentation on Financial Fitness as part of the Jewish Federation of Durham-Chapel Hill’s 2018 Active Aging Conference. Together, the members of WFA participated in a team-building activity at C'est si Bon, a local cooking school. The chefs at C'est si Bon noted the WFA Team's "attention to detail" and gave rave remarks to each of three final plates - ensalada, paella, and a raspberry almond torte. To see pictures and read more details about this event, check out Joe Marques' blog post here. This June, Allison Palmer became engaged to her partner, Robert Darwin! We're thrilled for Allison and Robert, who are planning a spring 2019 wedding. Austin Brown takes his sabbatical beginning on August 1st. In 2014, WFA commenced a sabbatical program which entitles every member of the firm to take a one-month paid sabbatical after being with the firm for five years and then again every five years thereafter. This month away from work is in addition to regular vacation/holiday time and can be used to do whatever the employee wishes.The goal of the sabbatical program is to allow team members to take an extended period of time away from work to do something fun and come back rejuvenated. Thank you for reading our summer e-newsletter! ﻿1504 East Franklin Street, Suite 105, Chapel Hill, NC 27514. © 2018 Woodward Financial Advisors | 1504 East Franklin Street, Suite 105, Chapel Hill, NC 27514. All Rights Reserved.